The School of Medical Sciences is located in the Wallace Wurth Building (upper campus of UNSW) which is accessible via Gate 9, High Street, Randwick. 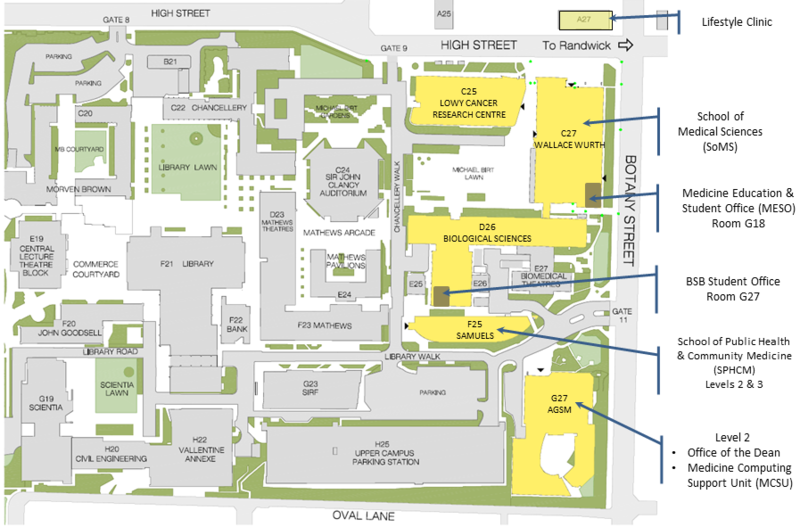 Please refer to the UNSW Campus Maps for comprehensive maps of the University. Limited parking is available via Gate 11, Botany Street, Randwick. Buses travel to various points near Gates 9 & 11 from Bondi Junction, Central Station and Circular Quay. Bus services travelling to this part of the University are: M50, 348, 357, 370, 400, 890 & 891. Further transport information is available on the UNSW Estate Management website.